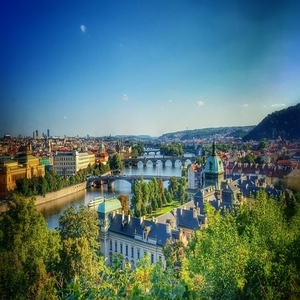 Europe maybe tiny but with its diverse cultural heritage, fascinating history and spectacular scenery it has been a favourite for travellers since time immemorial. 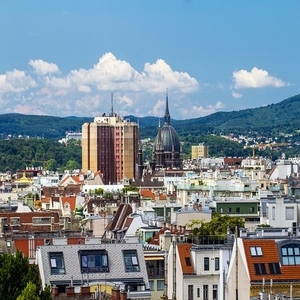 See the best that Europe has to offer on your trip to Austria, Hungary and the Czech Republic on our Eastern Whispers package. 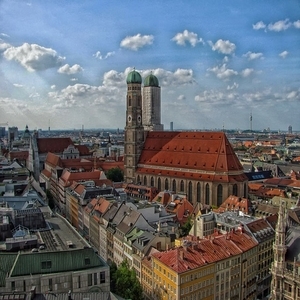 We will leave early and travel to Bavaria arriving in Munich at midday. Begin your with a visit to the Swarovski Museum, the renowned home of crystals. You will leave Salzburg to reach Vienna at noon, after which you will head directly to the magnificent Schönbrunn Palace where visitors can visit its beautiful gardens and halls. 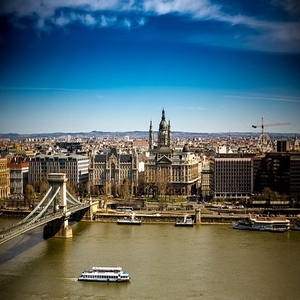 Discover the “Queen of the Danube” on your guided tour of Budapest. In the morning, you will go on a cruise on the Danube River to experience the sights of the city from a new perspective. Enjoy your last breakfast in lovely Hungary before departing for the airport for your onward journey. Boat: Vltava River in Prague, Danube River in Budapest. City tour in : Prague, Vienna, Budapest. 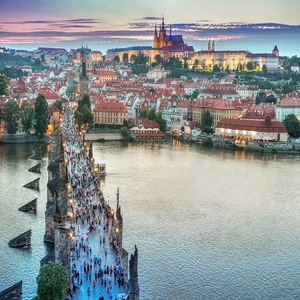 Evening Transfer: Old Town Square in Prague, City Hall Square in Vienna, Vaci Utca in Budapest. Ticket admission: Prague Castle, BMW Welt in Munich, Swarovski Crystal Museum. We will leave early and travel to Bavaria arriving in Munich at midday. You will be taken to Olympiapark, an arena constructed for the 1972 Olympic Games, the futuristic BMW WELT with its fascinating architecture and multi-use exhibition of BMW, the renowned German automobile manufacturer. After that, time for lunch and a stroll in the historic city center. 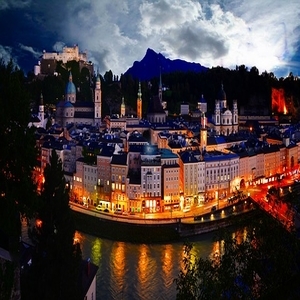 In the afternoon you will travel to Austria, to the charming city of Innsbruck where you will dine in the Golden Roof area at the Old Town. Begin your with a visit to the Swarovski Museum, the renowned home of crystals. Wander through its impressive gardens and learn how the pieces of crystal are produced. 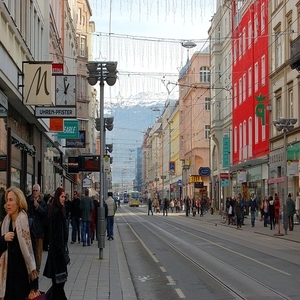 Then, explore the historic centre of Innsbruck. Next, you will travel through the Austrian mountains to Salzburg. Your guide will accompany you through the ancient cobbled streets of this beautiful city, declared a World Heritage Site by UNESCO. You will leave Salzburg to reach Vienna at noon, after which you will head directly to the magnificent Schönbrunn Palace where visitors can visit its beautiful gardens and halls. After lunch, go on a scenic visit around this impressive city with a local expert that will take you through its majestic avenues, its palaces and the vibrant city centre. In the evening, you will go to the City Hall Square to enjoy the lights and the nightlife where you will have time to dine in line with your preferences (including Austrian, Chinese, Indian and Italian). Discover the “Queen of the Danube” on your guided tour of Budapest. 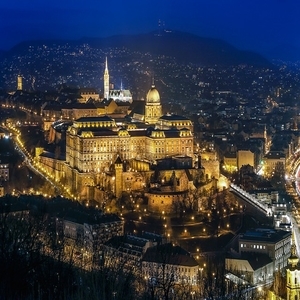 This city is divided by the Danube, with historic Buda on one side and cosmopolitan “Pest” on the opposite bank. There will be time at the end of the day for you to spend in lively Vaci Utca where there are lots of charming little restaurants with food from across the globe (Indian, Chinese, Hungarian and Italian). In the morning, you will go on a cruise on the Danube River to experience the sights of the city from a new perspective. At the end of the afternoon, there will be time to enjoy dinner in the city and travellers can select their preferred restaurant.